Berenty Reserve is a privately owned 200 hectare tract of degraded gallery and scrub forest adjacent to the Mandrare River in southeast Madagascar. 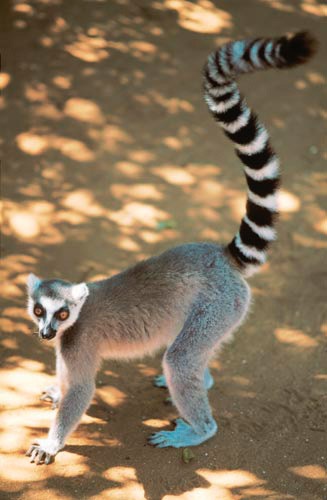 There are six species of lemur at Berenty: the ring-tailed lemur (Lemur catta); Verreux’s sifaka (Propithecus verreauxi); hydrid brown lemurs (Eulemur fulvus rufus x collaris); the white-footed lepilemur (Lepilemur leucopus); the gray mouse lemur (Microcebus murinus): and the gray and red mouse lemur (Micocebus griseorufus). 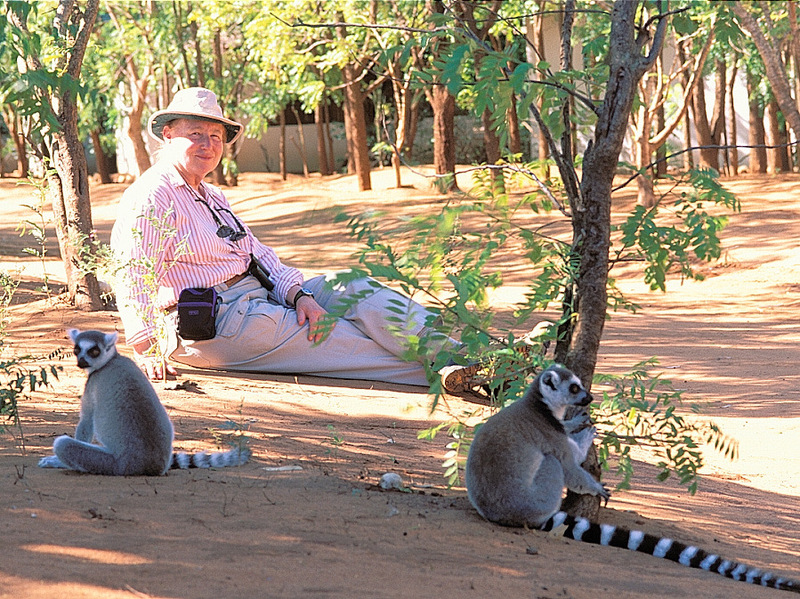 Despite the small size of the reserve, it has been the site of very active and productive scientific research since primatologist Dr. Alison Jolly first began her ground breaking research on ring-tailed lemurs there in 1963. 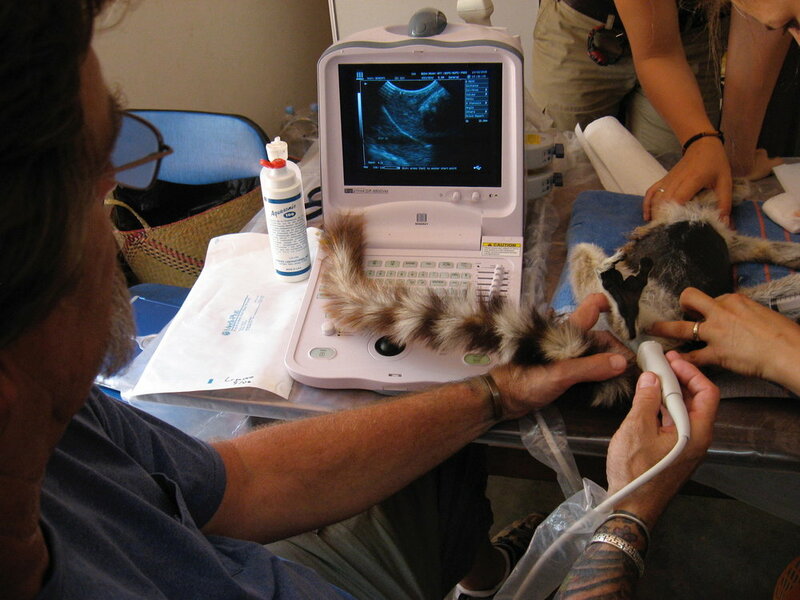 In 2002, we were asked by Dr. Jolly to come to Berenty and investigate why some ring-tailed lemurs were suffering from severe hair loss. 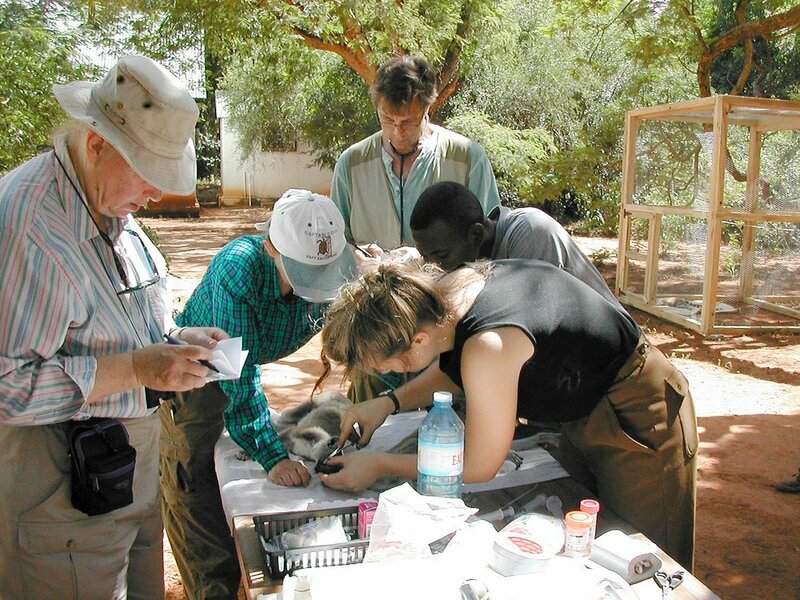 During three expeditions to Berenty between 2003 and 2006, we captured and evaluated 63 ring-tailed lemurs, and performed an epidemiological assessment. We concluded that the “Bald Lemur Syndrome” was due to the seasonal ingestion of an introduced tree, Leucaena leucocephala. Leucaena, a well known forage for livestock, had been introduced to the periphery of reserve in the early 1990’s as fodder for livestock. Since its initial introduction, leucaena had spread into the reserve and become a major dietary component for ring-tailed lemurs when other resources such as tamarind become less available. Unfortunately, leucaena contains mimosine, a plant amino acid that can be toxic, particularly to simple stomached animals such as lemurs. Mimosine causes a variety of toxic effects, but the main effect we found in the lemurs was arrested hair follicle development leading to delayed hair growth and hair loss, similar to cancer chemotherapy drugs. 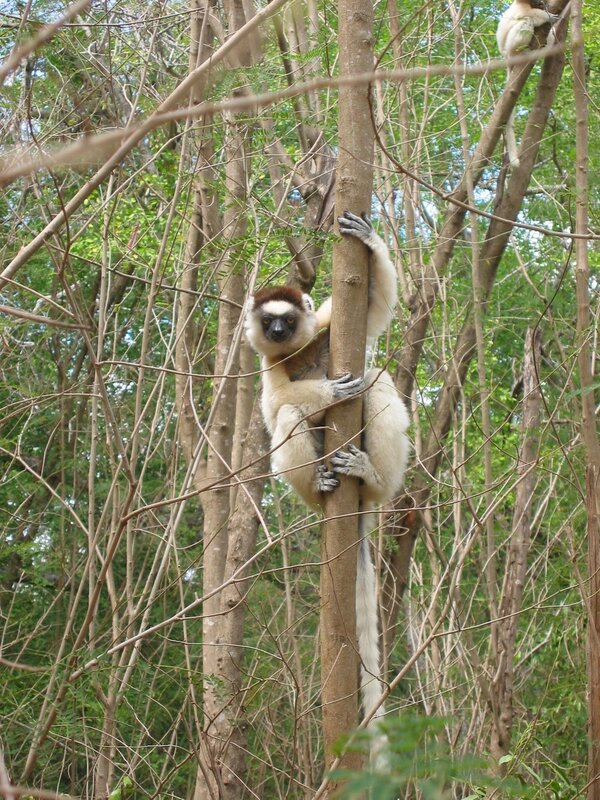 Since we reached our conclusion, the Berenty managers have made a concerted effort to remove leucaena from the reserve, which has led to a decrease in the incidence of “Bald Lemur Syndrome.” To the best of our knowledge, our study is the first documentation of leucaena toxicity in a wildlife species. We thank Dr. Patricia Wright for her advice and MICET for logistical support, and we are grateful to the de Heaulme family for their continued support of Berenty Reserve and its visiting scientist. This investigation was made possible by the generous financial support of the National Geographic Society’s Committee for Research and Exploration and the Association of Zoos and Aquariums Conservation Endowment Fund.